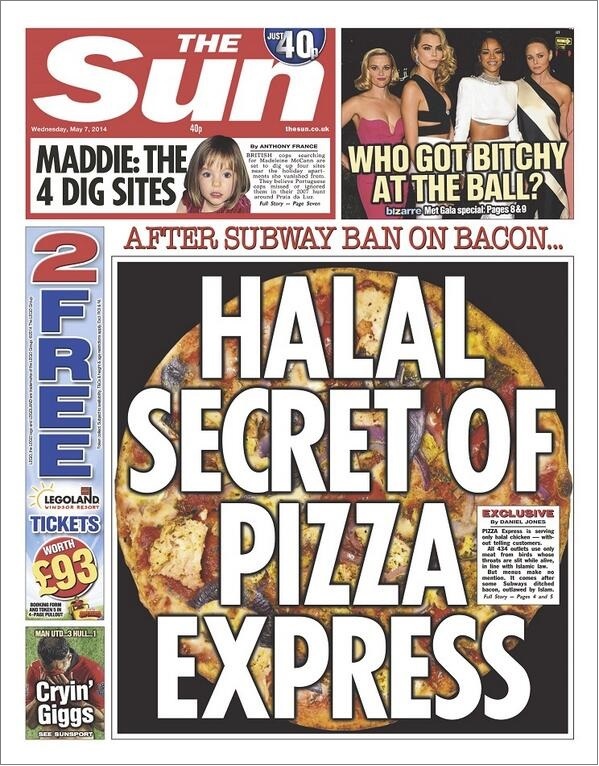 The issue hit the headlines last week after The Sun newspaper reported how restaurant Pizza Express serves halal chicken without stating it on its menu. In the House of Commons Ms Qureshi slammed the publication for “skewing the debate” without fully informing people about studies which show Islamic slaughter – via a deep incision to a vein in the neck – is less painful to animals than stunning them first. She said: “The newspaper that is going on about halal meat does not talk about experimentation on animals, which is real cruelty. We know that it just wants to have a go at one particular group of people. “No one wants to talk about the science, because the accepted wisdom goes with the prejudice that I am sorry to say certain newspapers in this country show towards certain groups without looking at the evidence.